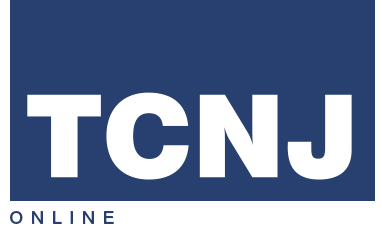 TCNJ’s field hockey and lacrosse coach made NCAA history last fall, becoming the first college coach to win 1,000 games by leading two programs. Pfluger is equally good at both jobs: She leads active Division III field hockey coaches in victories and winning percentage, and her lacrosse program’s winning percentage (.901) is tops in all three NCAA divisions. 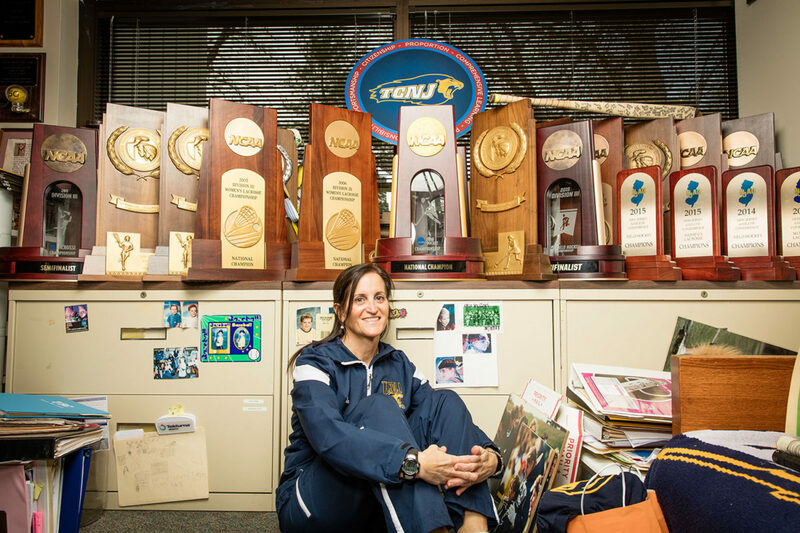 Here are 10 things you probably didn’t know about one of the most iconic figures in women’s collegiate athletics. When you combine Pfluger’s coaching wins with her wins as a player, she has tasted victory 1,093 times as a Lion. She’s been coaching for so long that daughters of former players are now on her rosters: Lexi Smith ’17, daughter of Gina Carey Smith ’93, in field hockey and Ellie O’Neill ’17, daughter of Nancy Warren O’Neill ’90, in lacrosse. It’s said the best competitors have ice in their veins; in Pfluger’s case, that’s from blasting the air conditioning on the team bus. Players know to pack a blanket for away game road trips. What fuels this competitor? Judging by her grocery list, it’s a mix of Skinny Pop, Parmesan cheese, chicken, salad (no dressing), yogurt, Tootsie Pops, and banana Laffy Taffy. She has a tendency to wear three pairs of glasses at the same time: two on her head and one to see. Pfluger is a Jersey Shore girl at heart: She loves vacationing in Seaside and walking the beach with her children, Augie, Jonah, and Kileigh. When she gets a moment to herself, Pfluger enjoys reading Mitch Albom books and watching any comedy starring Sandra Bullock or Melissa McCarthy. In Indianapolis, Pfluger’s picture hangs on the NCAA Wall of Fame between two other coaching legends: Knute Rockne and Dean Smith. Long before she made NCAA history, Pfluger’s claim to fame was holding a wall sit (knees bent, back to the wall, no chair) for one hour and six minutes in high school.